Last month I explained how your team’s self-confidence affects your organisation as a whole – from the general wellbeing of your business all the way to the bottom line. I then went on to list a series of tips that would enable you to boost their confidence. But what if your own self-confidence isn’t as high as you would like it to be? Here’s a personal story to demonstrate the damage low self-confidence can cause. I remember when I was working at the Institute of Directors as a Client Development Executive. I began as part of a small team. When I was then promoted to Team Leader, everything changed. Actually, that’s not exactly true. I was the one who changed. I became a bit more distant because I believed that’s how a Team Leader should behave. Worse, I’d been given the task of developing a strategy document for the coming year, something I had no idea how to do. Unfortunately, I pretended I did because I also believed that, as Team Leader I should know everything. One of my colleagues who had more experience with this kind of thing than I did offered to help me but I refused his offer. Why? Because I was afraid he was after my job. I was also afraid that, if I admitted I needed help, they would believe they made a mistake in promoting me. You wouldn’t believe the stress and sleepless nights I went through before my brain kicked in and I asked for help! Looking back, I can hardly believe I was that person. The good news is, that I learned how to boost my own self-confidence and to believe in myself by taking some of the steps I suggest below. But being promoted to a level beyond my capability as well as being left to my own devices without any training to help me adapt to my new role (I’m thinking the Peter Principle – being promoted to my level of incompetence) is not the only way one’s confidence can take a battering. • Your manager tends to be overly critical which causes you to doubt yourself, second-guess yourself, over-analyse things, worry about making decisions in case you make the wrong one – and more. Now imagine you decided to work on regaining your self-confidence (see ideas below). This is how you will change. • People are more likely to want to work with you. Self-confidence is a very attractive quality – that works in your personal life as well! • You’re more likely to be promoted or get better jobs elsewhere. The first thing I need to say is that developing your self-confidence and self-belief is a process – same as developing the self-confidence of a member of your team. Here are some things worth thinking about. A shortcut is to notice your feelings. Your feelings live in your body so, if you feel your tummy tightening or you feel a little nauseous or feel your stress levels rising check what happened just now and what you thought it meant. People with low self-confidence doubt their abilities and are often overwhelmed with self-doubt and limiting beliefs such as not being capable enough. Pay attention to your thoughts, especially your Gremlin otherwise known as your negative inner critic. This is the mindset that keeps you firmly within your comfort zone which people believe is safe and familiar – except that, it may be familiar but it’s certainly not safe as it will keep you average at best when you could be exceptional. If you are then I have news for you. The fear will never leave you until you do the thing you’re afraid of doing. The good news is that, once you push yourself through the fear, I guarantee you will experience 2 things. 1. You will wonder what you were so afraid of! The thing you were so afraid of was not as bad as you thought it would be! 2. Your self-confidence will soar! Take up projects that push you beyond your comfort zone. In other words, say ‘yes!’ first and panic later. Then do whatever it takes to come to grips with it. Look things up on the internet, watch a ‘how to’ video on YouTube and follow the instructions, watch a TED talk on any particular subject and/or discuss the issue with someone you trust. Also, there are any number of free courses on the internet where you can learn to do something without anybody knowing – although I believe that people will appreciate your willingness to go the extra mile. But how does improving your own self-confidence boost the self-confidence of your team? Here are just 3 ways. 3. You will be more open to their ideas without insisting that only yours are to be followed up because you’re the manager. One last thought. Your new self-confidence will directly impact on the effectiveness of your team, your section or department and even the company as a whole which will reflect very well on you. 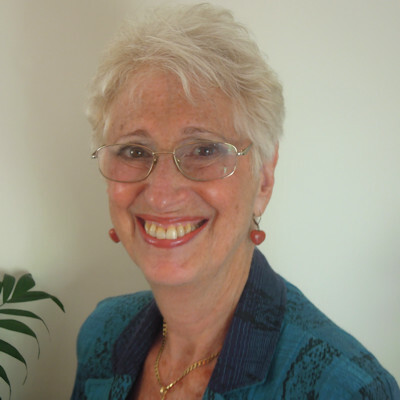 I’m Sue Plumtree, Personal and Business Relationship Coach.